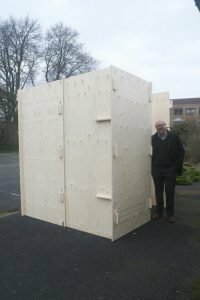 The winning design for Commonweal’s starter for ten competition has been constructed at a winter night shelter in Hillingdon. 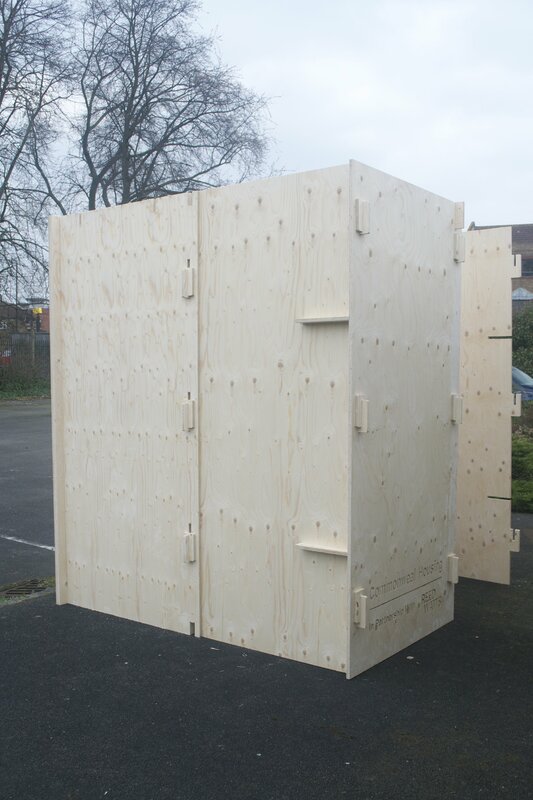 Winning designers Reed Watts constructed two pods at the winter night shelter run by the charity Housing Justice. On display until the end of March the pods will provide occupants at the shelter with greater privacy and dedicated space to store their possessions. 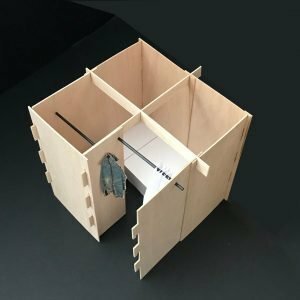 Shortlisted from over 20 entries, the ‘Commonweal pod’ was chosen as the winner of Commonweal’s starter for ten competition. 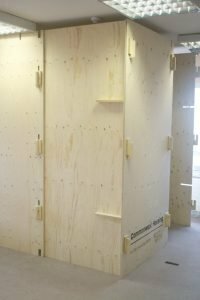 Prompted by Commonweal sponsored research into the lives of Romanian migrant workers living in tent encampments around London, the competition sought to find a deliverable model for reusable, short term accommodation that could be deployed within existing empty and underused buildings. 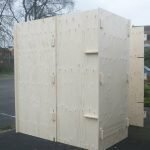 Measuring approximately 2x2m, the Pod has been fabricated from 8 fireproofed plywood sheets using CNC milling technology. They are designed to interlock with two of the side panels being shared with the adjacent pod. A curtain across the entrance provides privacy, while a lockable box under each bed provides a secure store for residents’ possessions. 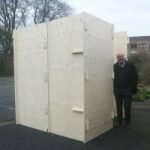 Commonweal is delighted to have supported Reed Watt’s in the development of these pods. Their unique design presents not only a practical, but affordable option that could be adopted to provide short-term accommodation in a range of scenarios. 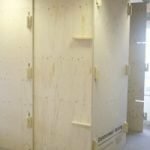 Our thanks go to Housing Justice for providing us with the space to build the prototypes and for the opportunity to get feedback – this is vital as whilst we are excited by the potential we know we still need to improve and learn lessons. Whilst we are clear on the merits of such a design as a temporary and better alternative than rough sleeping or living in tents, such an accommodation option should, however, never be viewed as providing medium to long-term homes. The pods will remain in use at the shelter until the end of March 2018. Full details of the design concept for the pods, including the interim report produced by architects Reed Watts can be viewed here.